Item # 315972 Stash Points: 5,495 (?) This is the number of points you get in The Zumiez Stash for purchasing this item. Stash points are redeemable for exclusive rewards only available to Zumiez Stash members. To redeem your points check out the rewards catalog on thestash.zumiez.com. 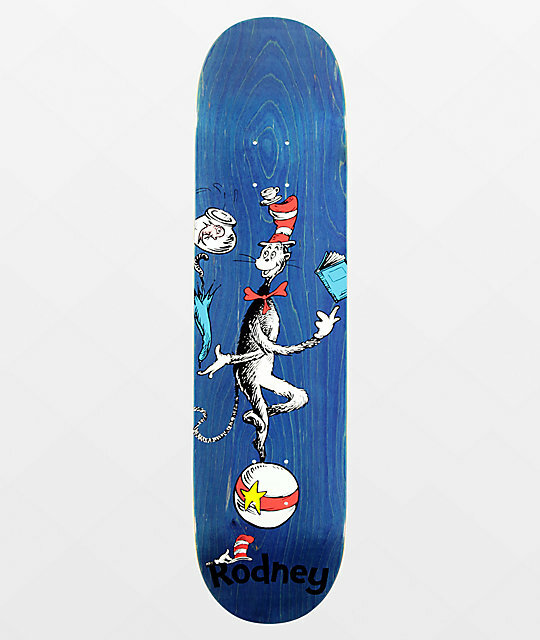 If skateboarding is cool and skateboarding is fun, your favorite activity under the sun, reach for the Almost x Dr. Seuss Mullen R7 7.87" Skateboard Deck for whimsy and wonder, hopefully you wont crash on a big patch of chunder. With moderate concave from the left to the right, not a single flip trick shall put up a fight. Finished with steep kick tails pitched, ready for flight, you'll have ollies so big they may give you a fright. 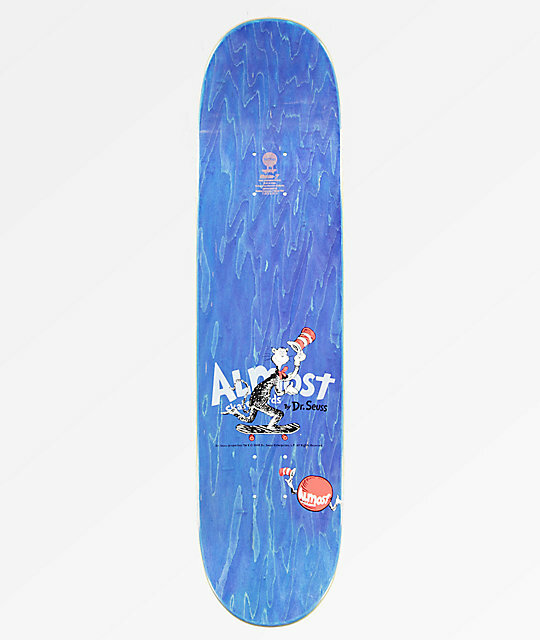 Mullen R7 7.87" Skateboard Deck from Almost x Dr Suess. Signature Rodney Mullen pro model.